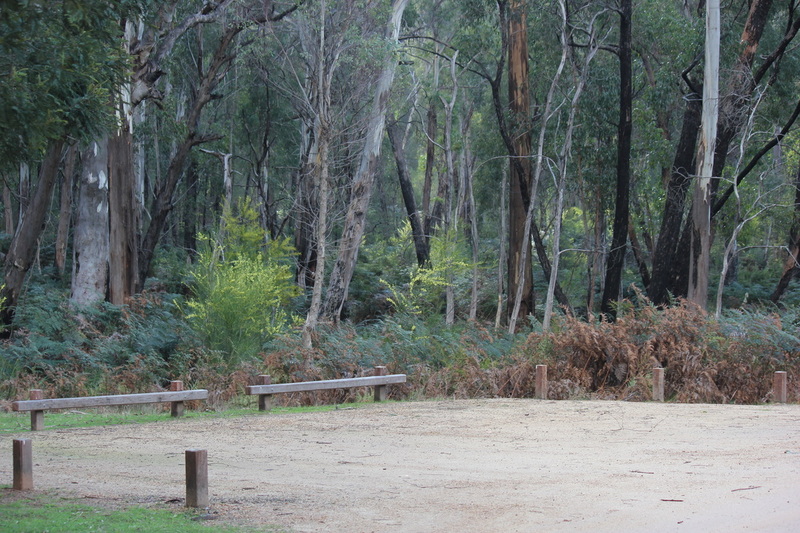 Borough Huts Campground are located about 10 mins drive from Halls Gap and is located by Fyans Creek. If you coming from Halls Gap, drive past the Silverband Falls turnoff and it will be a short distance on, right hand side. When we first saw that it was close to a road, we thought it could be noisy, but the volume of traffic on that road is not significant enough to cause concern, plus we were there in off-peak season. 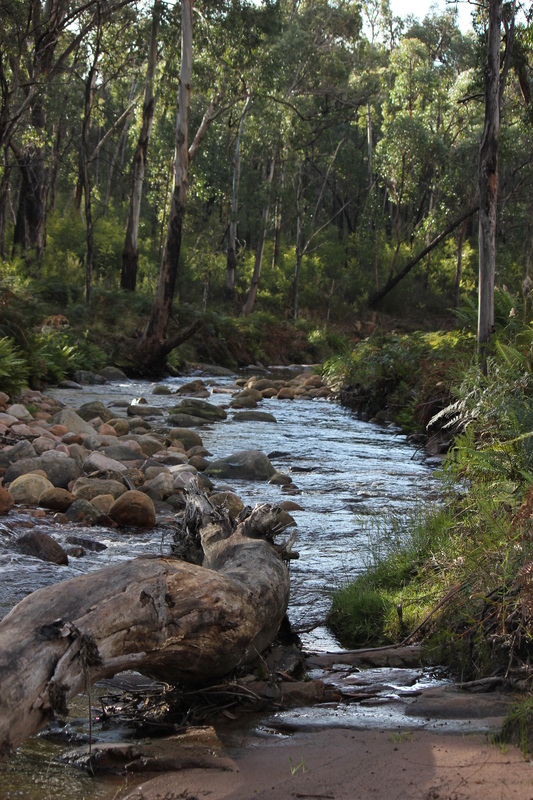 Fyans Creeks is a beautiful creek, surrounded by tall gums and fernery. Evidence of the floods in January 2011 could be seen in the creek, with large amounts of debris still wedged along the banks, and a pathway closed. But the beauty of this area still abounds. There are a large number of campsites scattered across the campground, with each one clearly designated. 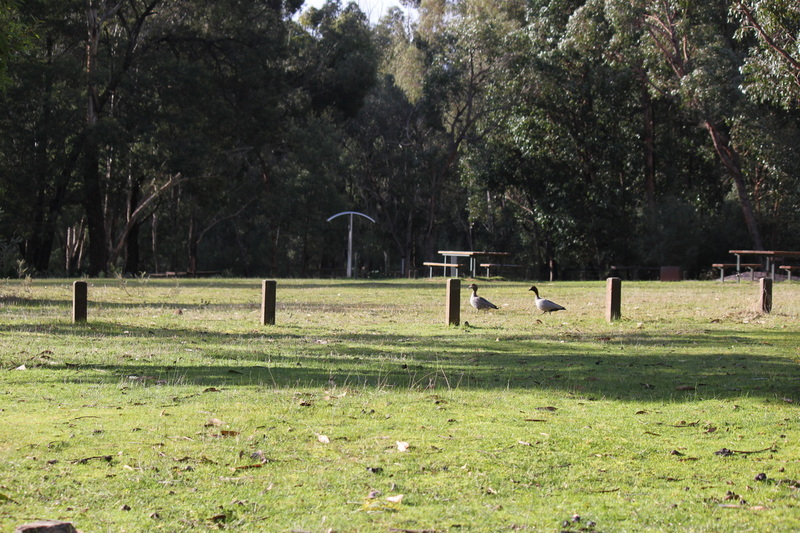 The campsites need to be booked in advance - you will need to go to Parks Victoria website and book your campsite. Some of the camp areas, hold up to 4 camp groups, so if the area was busy, you might be in close proximity to other campers. Screening between sites is minimal. Caravans and campers will have limited options to choose from. Plenty of shade available, plus firepits and tables and chairs. Another feature of the campground is large grassy areas (not for camping) that contributes to the spacious feel of the campground, and would prevent a sense of overcrowding. There is a toilet block with male/female/disabled drop toilets. The condition of the toilets seemed acceptable. Communal firepits and tables and benches are throughout the campsites. There were taps that had creek water only - so don't drink without treating it. Otherwise, you will need to bring all your water with you. This is a very pretty part of the world and this campground was in excellent condition. The creek running so close by, is what makes this campground special. Located close to Halls Gap as well. We visited in winter, and there was no-one there at all! Place to ourselves (except for all the kangaroos).